What is the best pokies strategy? The best pokies strategy is based around a realistic understanding of how the poker machine house edge works. Once you dispel the common myths, you can take pragmatic steps to play smarter than the average player. Playing pokies online for free in practice mode at our recommended casinos is also a great way to test different methods of play. Read on to find out how to test your pokies strategy for free and discover tips to maximise your wins. 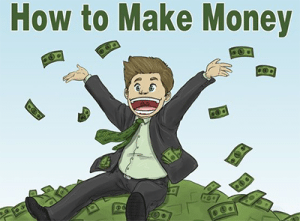 If you learn a little more about how the house edge on pokie machines work and combine your knowledge with a few tips for maxing out your expected payout and managing your bankroll, there’s a chance you’ll walk away with more money in your pocket. The great thing about playing the pokies is that they don’t require much strategy or special skill to play. That doesn’t mean you shouldn’t study the gaming machines to understand the game better, so let’s do some research together. 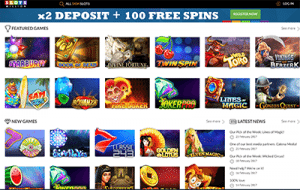 A great benefit to playing pokies at online casinos is that leading casino sites give you the option of playing pokies for free in demo mode before laying down any real money bets. This means you can try out all kinds of different strategies, like seeing if results are any different when betting minimum versus maximum bets, trying your luck on the gamble feature, and so on. Free play online also means you can sample as many different pokies as you like, so you can find the games you enjoy the most or the ones the best payout rates before having to commit to a cash wager. All of our top-rated online casinos provide the option of free play – we recommend testing your pokies strategy at Slots Million where you can get instant access to over 1400 pokies from all the leading software providers. When playing the pokies, we’re all hoping for that jackpot win. It’ll pay for you to know that in many cases, online pokies sites require you to bet the maximum coins to activate the top jackpot on the machine. Let’s assume you play on a machine with a jackpot which pays 500x for one coin, 1000x for two coins, 1500x for three coins, 2000x for four coins and 4000x for five coins. 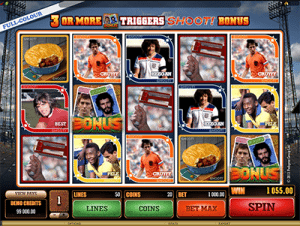 The jackpot escalates considerably if you make the maximum bet. When you bet the maximum amount of coins, you increase your payout percentage relative to all other bets on the machine. In this case, the best strategy is to make the maximum wager of coins. Many virtual machines these days have a wide range of coin denominations, so it’s better to drop down to a lower denomination and bet the max coins most of the time. This rule isn’t always the case, and you should look at the pay schedule and do the maths in your head to know if it matters. If you don’t like calculating, then just assume this is the case, because it usually is. If you can’t afford to bet the maximum coins, don’t. There’s still plenty of money to be won without hitting the jackpot, and it’s always better to bet within your means. 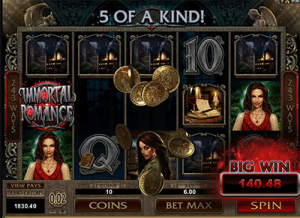 Want to see if betting the maximum coins benefits your pokies outcome? Test your pokies strategy for free by playing games in practice mode at one of our recommended free-play casinos. When you’re playing online pokies, it’s even more common the maximum pay-line bet triggers the biggest jackpot. If so, it’s better to activate all the pay-lines on the machine. If you must drop down to a lower coin denomination or even a lower-tier machine, do it. While the gaming machines with high denominations pay out a better percentage, it is negligible compared to the risk you face, unless you’re a high roller. When it comes down to betting out of your comfort zone to get better odds, this is a bad bargain. Always stay in your comfort zone when betting, no matter what this does to the house edge. No matter what bet level you play at, the house is always going to have the advantage, so you have to play as if you expect to lose. Electronic pokie machines draw in 60% to 70% of the revenue for land-based casinos. The state governments in Australia tax land-based establishments on their gaming revenues and for that reason, you can see the gross revenue and percentage of revenue pokies make for their licensed owners. Once you start calculating the numbers, you’ll understand gaming machines can dominate a gambler, if you let them. The key is to manage your bankroll and slow down your rate of play. If you overeat, the worst thing you can do is swallow your food without chewing it properly. Gulping food facilitates overeating, while hurrying through the gaming machine spin cycle facilities gambling losses. If you learn one thing from this article, understand that the casino has a tremendous house edge on the pokies. The house edge might range from 3% all the way up to 10%, or even 15% of what you wager. When you wager $100, you expect to lose between $3 and $15, depending on the location and which machine you’re playing. In this situation, you should savour your gambling, lowering the number of spins while staying on pokies row for the same amount of time that you normally would. To see just how volatile pokies can be, play for free to test your pokies strategy at a trusted casino site like Slots Million. You will be given a large amount of practice money to play with so you can test how quickly you go through your casino credits before laying down any real money bets. The biggest problem most pokies players have is they act like they have the advantage on the casino. Thus, they hit spin as fast as they can, thinking it’s going to translate to more money. Gamblers should treat their gaming sessions like they’re the underdog in a football match; if you get up a goal, play defensively and try to win 1-0. You do that by milking the clock, drawing out the game as long as possible, while risking as little as possible. Many gambling experts tell players to set a win goal. When a certain amount of money has been won, the player is supposed to walk away. That makes perfectly good sense. If you start with $250 and you have a win goal of $100, then as soon as you hit that threshold, you should stop playing. The problem with this strategy is that it’s akin to saying, “Give up your gambling hobby.” For a day at least, that’s what you’re doing. If that’s too hard, then the next best thing is to keep playing, but slow down the rate of play. The worst thing a player can do is to set up the auto-play feature on their poker machine. This speeds up play and exposes you to the house edge at the maximum rate. It might be tedious to hit the button time and again, but that movement saves you money, most of the time. Playing for free to test your strategy gives you the chance to see how different rates of play can impact your bankroll, while giving you the chance to see how dangerous the auto-play function can be without having to risk your hard-earned dollars. Test your strategy risk-free at All Slots Casino. Don’t use outdated strategies like the zig-zag method. This might have once applied to the old mechanical poker machines. The idea behind them was the reels would start to line up, so you could find a machine with a zig-zag pattern to the winning symbols and this meant you should play that machine. However iffy that logic might have been in the 1970’s, in the age of electronic gaming machines and random number generators, it’s absolutely absurd. The reel symbols are just representations of number sequences generated by the RNG, so the reel placements give no indication of how close you were. If someone tries to sell you an e-book which is supposed to give you a guaranteed pokies winning system, get away from this person. If you see a website which offers the best way to beat the pokies, once again, get away from this bad influence. No effective strategies exist in poker machine gaming like they do in card games like poker, video poker, and blackjack. When someone who claims to be an expert tells you differently, they are either a fool or a charlatan. To see for yourself how ludicrous the idea of there being a guaranteed pokies strategy is, play for free at any of our recommended pokies sites where you will understand just how luck-based pokies really are. The most important thing you can remember when playing the pokies is there is not a single thing you can do to influence the outcome of a spin. It doesn’t matter what whacky superstitions you have, or what advice you’ve received from any self-proclaimed professional punter, nothing you can do will increase your chances of winning on the pokies. Because of their luck based nature, it’s important to play the pokies for the fun, entertaining game they’re intended, while staying in control of your gambling habits. Set yourself limits, don’t chase your losses and always quit while you’re ahead. 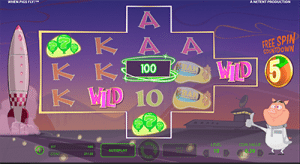 One of the many benefits to playing pokies online is you can try games for free in practice mode, which is a great way to get a hold of your pokies strategy and start to understand the house edge and luck based nature of the slots. We recommend signing up for an account with Raging Bull Casino, our top-rated casino site for players from United States, where players can test their pokies strategies for free, or take advantage of the welcome bonus available when playing for real money.